Does WeChat shows true market potential for WhatsApp? Does WeChat, China’s mobile text and voice messaging service, show us the future for mobile payment services and exactly why Facebook paid $19bn for the messaging app WhatsApp? Firstly, WeChat is generating serious revenue. It made more than 50 percent of its revenue in 2012 – 44 billion yuan (7 billion US dollars). It is safe to say that the Chinese love messenger services, with over 400million users globally and over 70million outside of China. However WeChat is much, much more than a simple messenger service –it could be one of the world’s most innovative tech companies. In fact, with its latest innovations into financial services the banking sector should be worried. More on these innovations later. The WeChat app has some great features and is a unique way to connect with friends and strangers. For example, ‘Shake’ is an addictive functionality where a user can simply shake their phone to speak to random strangers. The app offers a ‘Look around’ functionality to find people locally to chat to, and a drift bottle functionality lets you throw a message in a bottle into the metaphorical ‘internet sea’ and a random stranger somewhere in the world will pick it up. Why is WeChat so revolutionary? The amazing thing about WeChat is the way it is developing commercial propositions by adding new functionality, such as mobile payments and even financial services. The app shows how messenger services could be the gateway for a breakthrough in mobile payments. Users can shop online and pay using WeChat and in March this year WeChat opened up its mobile payments service to all businesses. For now the WeChat payment function is only available for Chinese based public accounts – EU and US users can experience this functionality but users might need to follow some Chinese public accounts, for example. I’m told that you can try to see this functionality if you search for a user such as a WeChat ID, e.g pccchina, then follow this account and experience payment function in it, however at the time of writing I was struggling to understand the Mandarin. I’d be interested to hear from anyone who can use it and get their feedback. WeChat, however, is more than a vehicle for mobile payments, it is also a bank too. WeChat now has a “wealth” section and the annual rate of interest was over 6 percent (the last time I checked) which is much higher than actual savings accounts in China. You can even hail a cab in China using WeChat and it could directly compete with apps like Uber at some time in the future. Don’t expect the product innovation to stop as the owners continue to add more and more lucrative functions to it. How is WeChat currently being used? If anyone has recently carried out business with Hong Kong or China, you’ll know that messenger services such as WeChat, WhatsApp and Skype are an integral part of business communication – much more so than here in Europe and the US. It was while working with one of Hong Kong’s biggest digital agencies Guru Online that I first encountered WeChat. They were digital agency of the year in 2012 and 2013 and are one of the biggest agencies in the region. They work with Nike, Coca Cola, Hang Seng Bank, Adidas, Sony, Citibank, Langham Place, Virgin Atlantic, P&G, Samsung, Sanyo, Toshiba and many more. They provide their clients like Le Creuset, Paul and Shark and Scholl with marketing campaigns using WeChat platform. It was over lunch with their managing director that I was made aware of the sheer size and potential for WeChat. Big brands are already using WeChat just as they are using Facebook and Twitter in the EU and US. Digital agencies are creating content, and using paid channels to promote their brands directly to consumers. Despite this early adoption it still feels like the tip of the iceberg and many more businesses will turn to the platform over the coming years. The payment services seem like the perfect vehicle to monetise the app, in addition to advertising channels. 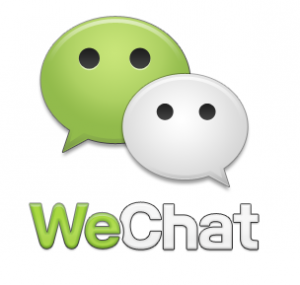 So what does WeChat tell us about the future for WhatsApp and other messenger services? It looks like messenger services are opening up commercial models which go way beyond the media and advertising model, and are allowing for unprecedented product innovation. We already know that young people are turning to messenger apps rather than using social media. And emerging economies are where growth is fastest. About 90 percent of the population of Brazil uses messaging apps, three-quarters of Russians, and half of Britons,according to mobile consultancy Tyntec. But the growth in users only tells one story and this tale of consumer tech growth goes much further than simply providing eyeballs to advertisers, as WeChat shows with its payment and wealth services. Perhaps the bigger picture for messenger services like WhatsApp, is to follow China’s lead and innovate in the financial services sector? In this context, Facebook’s £19bn payment for WhatsApp looks like a shrewd investment.